Christianity in America is under siege. From litigation over coaches starting games with prayer to expulsion from college for refusing to endorse beliefs at odds with the Christian faith, hardly a week goes by without news of the declining influence that Christianity has in the public square. Can Christianity in this country survive the advances of secularists and remain influential in our culture? And if a new spiritual awakening is possible, what form will it take? 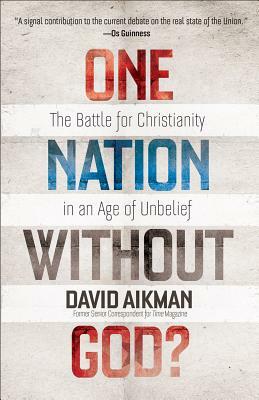 Supported by an astonishing parade of concrete examples and direct quotes from reporters, judges, bloggers, and influencers, David Aikman turns his journalist's eye on the rise of hostility toward Christian expression in America and the alarming decline of orthodox belief among those who call themselves Christians. He explores the inspiring history of Christianity in America, the powerful cultural influences that have weakened the church, and the bright spots of hope he sees across the country, suggesting possible ways Christian influence in America might be refined and revived. Pastors, culture-watchers, and anyone concerned about the state of the church in America will find this a fascinating and eye-opening read. David Aikman is an award-winning print and broadcast journalist, a bestselling author, and a foreign affairs commentator based in the Washington, DC, area. His wide-ranging professional achievements include a 23-year career at "TIME Magazine" and ten books. He has appeared as a commentator and guest on all the major news networks, including NBC, ABC, CNN, FOX News, and the BBC and his editorials regularly air on radio stations across the US. He lives in Virginia.